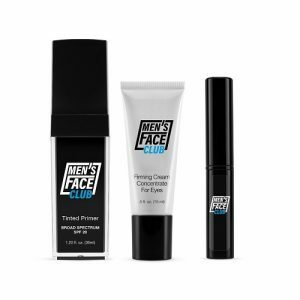 MFC Concealer Pen is a new, ground breaking concept that provides men now with the same advantage women have had for years. We’ve leveled the playing field. 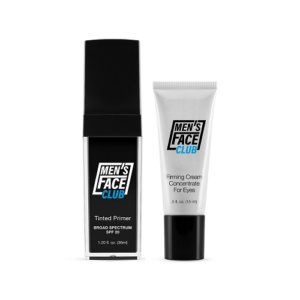 With our MFC Concealer Pen for Men you can now cover blemishes, scars, and smooth out uneven skin tone. Hide the dark bags under your eyes. No one has to know that you got in at 5 am! O.A.P. (Optically Activated Particles), unique, patented luminescent ingredients, emit and diffuse light to dramatically reduce the appearance of skin imperfections. Multi-Mineral Complex (Magnesium, Sodium, Potassium, Zinc & Chloride) provides superior antioxidant benefits to gently protect and condition skin with the finest minerals nature has to offer. Corrective Micro-Spheres fill in fine lines and impart a smoother appearance. Sodium Hyaluronate attracts and holds up to 1,800 times its own weight in water, to fill in the space between collagen and elastin fibers, plumping and refreshing the skin. Squalane boosts the skin’s ability to naturally regenerate, nourish, hydrate, oxygenate and protect itself. Silica & Mica, natural mineral powders and optical modifiers, diffuse light to soften the appearance of fine lines, wrinkles, and blemishes. How To Use: Apply directly over imperfections and dark under eye circles with finger tips and then blend it in. Squalane, Polyethylene, Kaolin, Paraffin, Cyclopentasiloxane, PEG/PPG-18/18 Dimethicone, Phenyl Trimethicone, Poly(Glycol Adipate)/Bis-Hydroxyethoxypropyl Dimethicone Copolymer, Euphorbia Cerifera (Candelilla) Wax, Water (Aqua), Silica, Lecithin, Glycerin, Cholesteryl/ Behenyl/Octyldodecyl Lauroyl Glutamate, Pentaerythrityl Tetraisostearate, Silica Dimethyl Silylate, Sodium Chondroitin Sulfate, Atelocollagen, Butylene Glycol, Sodium Hyaluronate, Magnesium Chloride, Potassium Chloride, Sodium Chloride, Zinc Chloride, Lysine, Retinyl Palmitate, Tocopherol, Tocopheryl Acetate, Tetrahexyldecyl Ascorbate, Phenoxyethanol. May Contain (+/-): Mica, Titanium Dioxide (CI 77891), Iron Oxides (CI 77491, CI 77492, CI 77499), Ultramarines (CI 77007), Chromium Oxide Greens (CI 77288), Chromium Hydroxide Green (CI 77289).